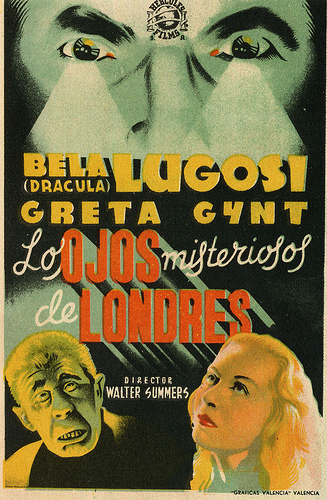 Released in November, 1939, Dark Eyes Of London was Bela Lugosi’s second British film. 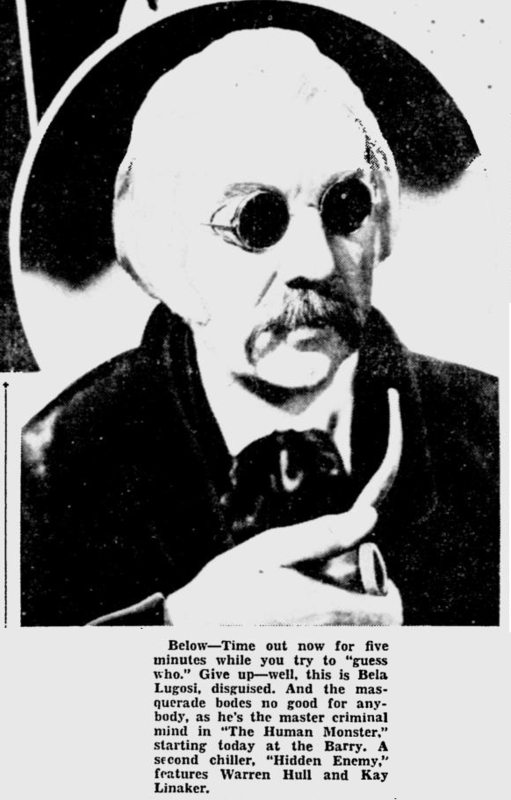 It featured him in the dual roles of Dr. Feodor Orloff and Rev. John Dearborn, voiced by O.B. Clarence. 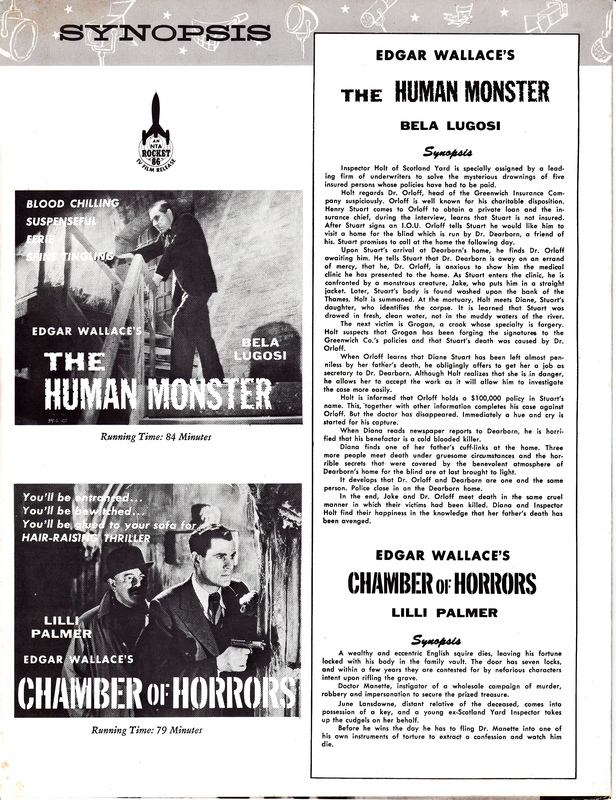 Adapted from Edgar Wallace’s 1924 novel of the same name, it was the first British film to be certified “H” for HORRIFIC by the British Board Of Film Censors. 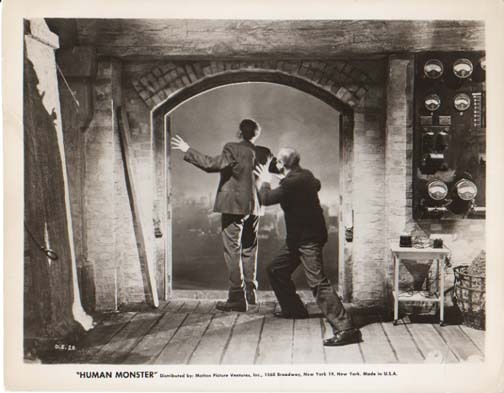 The film was released in America as The Human Monster by Monogram Studios in March 1940. Filmed with the co-operation of The National Institute Of The Blind. 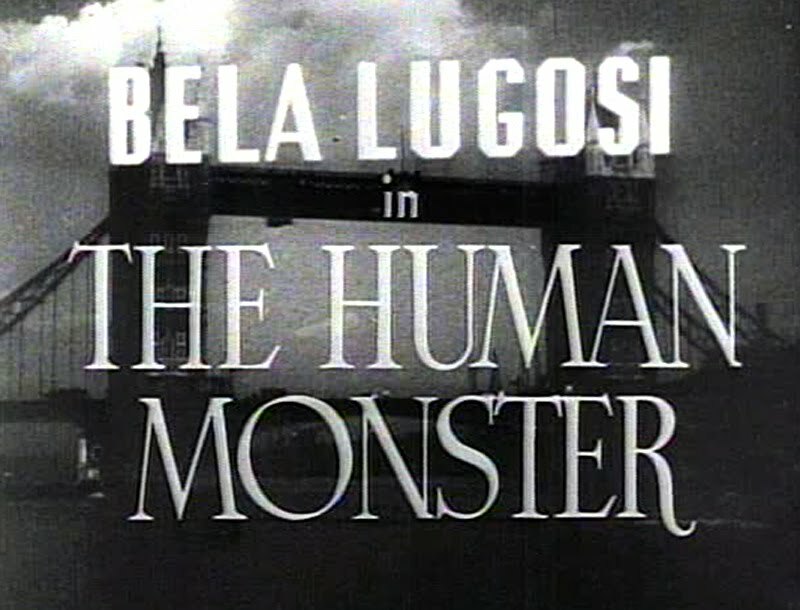 Distributed by Pathe Pictures, Ltd.
Bela Lugosi to sail New York to London on Queen Mary March 24. 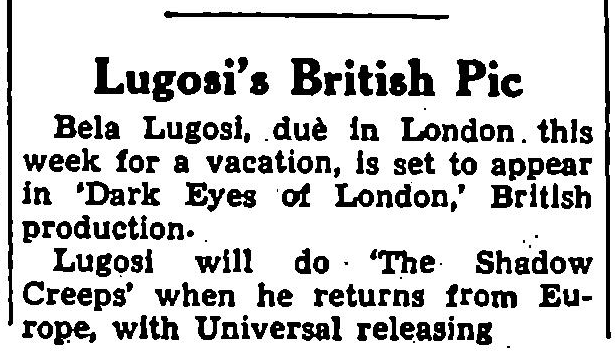 Lugosi went from Los Angeles to New York this week. 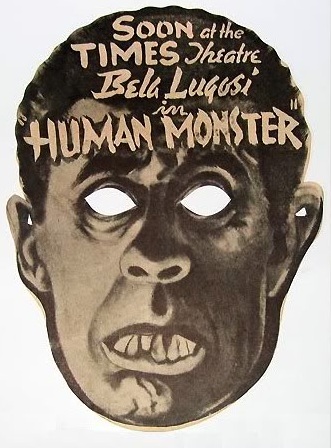 Bela Lugosi was wandering around, probably looking for someone to frighten. He admitted, on shipboard, that little children shriek at the mere sound of his name. He says he likes to scare big girls, too. 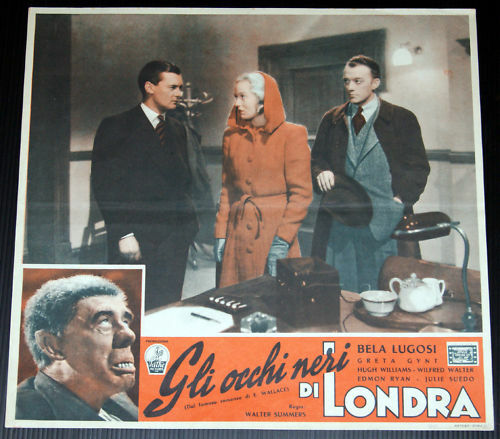 Noel Coward and Bela Lugosi sailed March 25 on Queen Mary to London. Having crossed the Atlantic between the Ambrose Channel Light Vessel and Cherbourg Breakwater in four days, 11 hours at a speed of 29.25 knots, the Cunard White Star Line’s Queen Mary reached Southampton yesterday afternoon. 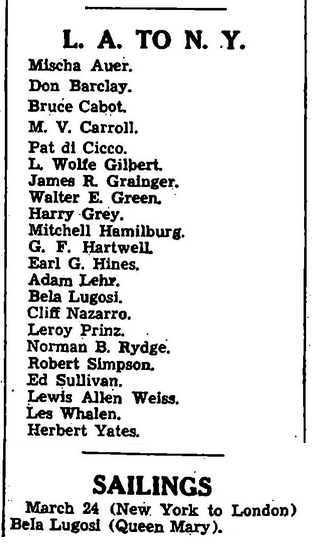 Passengers who made the voyage numbered 844, of which 302 travelled cabin, 309 tourist, and 233 third-class. The big ship sails for the States again on Saturday at 9.30 a.m., and the bulk of the passengers will embark to-morrow night. Estimated bookings for the voyage total 1,250 travellers, namely, 350 cabin, 500 tourist, and 400 third-class. 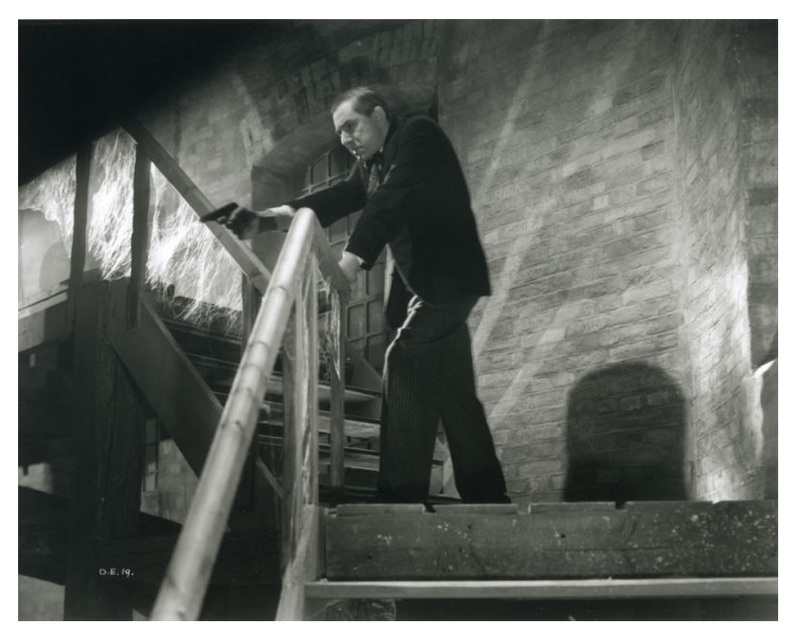 Bela Lugosi, star of “Dracula” and many other films, arrives in this country to-day and will start work at the Welwyn studios to-morrow in a John F Argyle production. 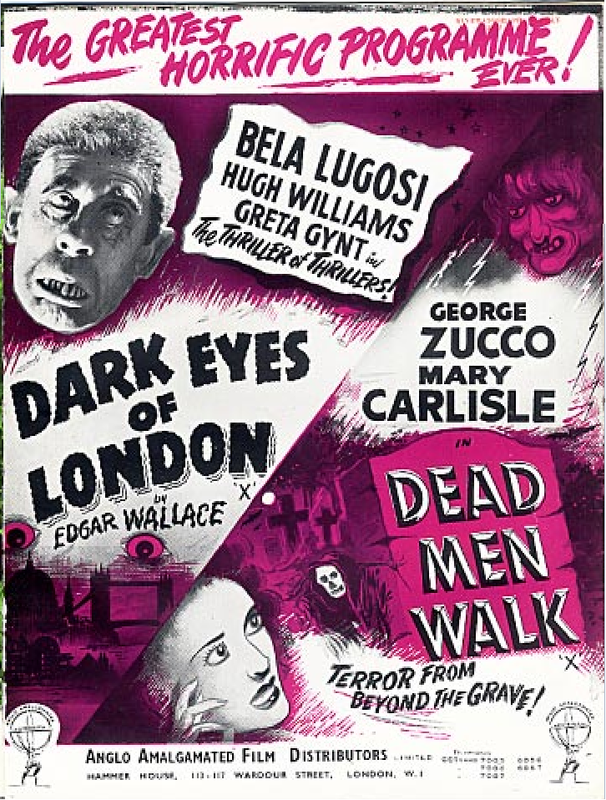 The picture is an Edgar Wallace subject entitled “Dark Eyes of London” and is to be directed by Walter Summers who co-operated with Patrick Kirwan on the script. 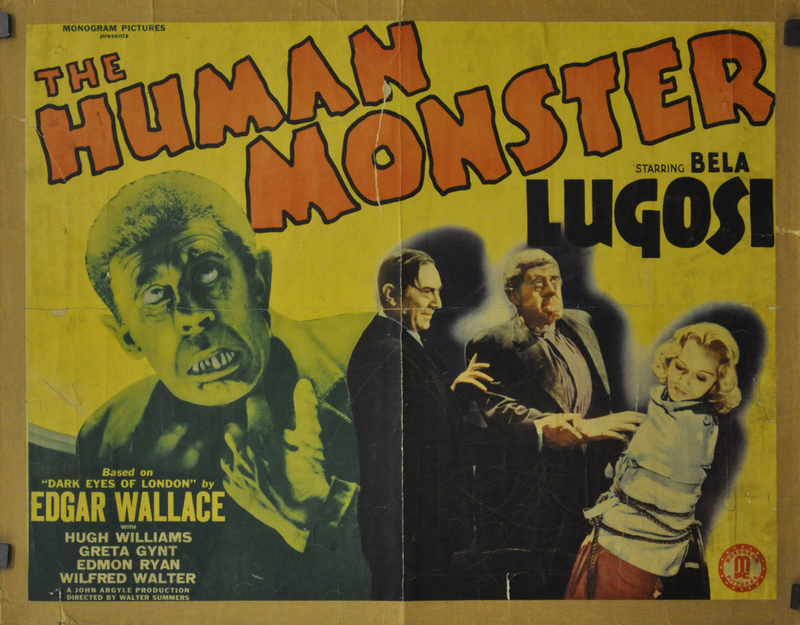 Supporting Bela Lugosi in the leading roles will be Hugh Williams, Greta Gynt, Wilfred Walter and Alexander Field. Shooting is expected to take four weeks. “Dark Eyes of London” will be distributed by A.B.P.C. 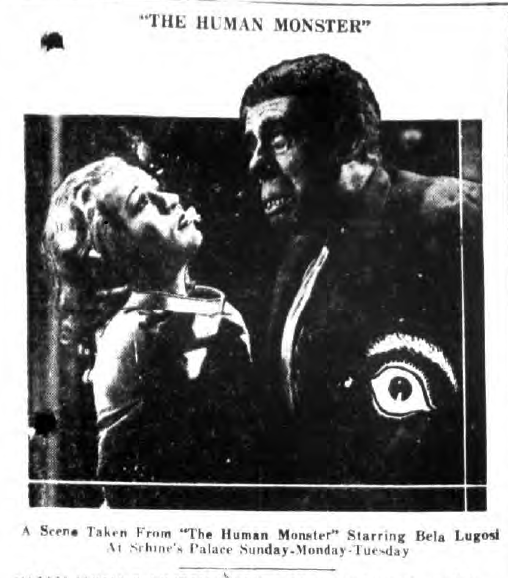 The reception the other evening to Bela Lugosi (writes a colleague) was one of those pleasant and informal affairs which, although yielding comparatively little in the way of news, made a very nice break. 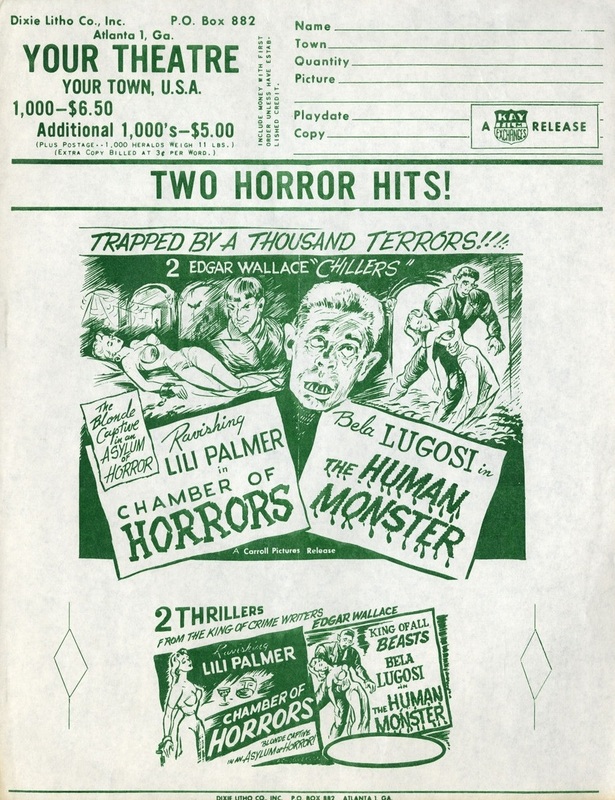 Having met the “horror merchant” on a previous visit to these shores some years back, I wasn’t surprised to find Lugosi a mild and charming individual, who in real life looks as much unlike his screen counterpart as one could imagine. In fact, he’s a happy family man, and a proud father; got quite a kick out of showing photographs of his young son to assembled Press boys. 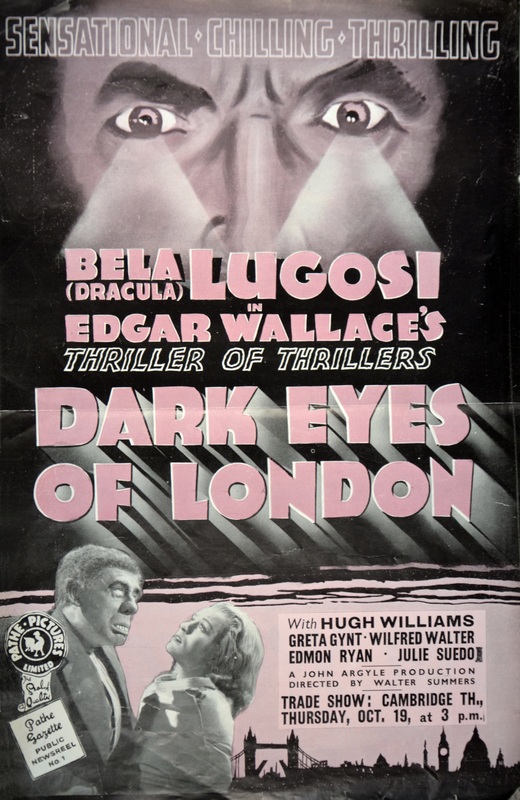 Lugosi is here to film in “Dark Eyes of London,” Edgar Wallace thriller , to be made by John Argyle at Welwyn, for Associated British release. Arthur Dent, of course, was there, while a particularly interesting visitor was Hamilton Deane, who is now playing Dracula on the stage. 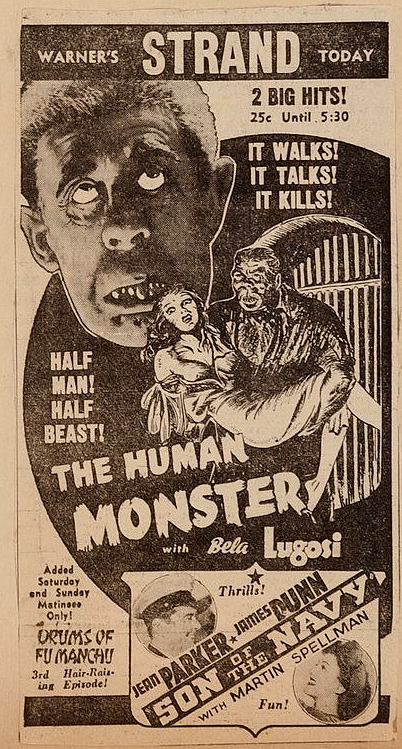 He and Lugosi spent quite a while comparing notes! 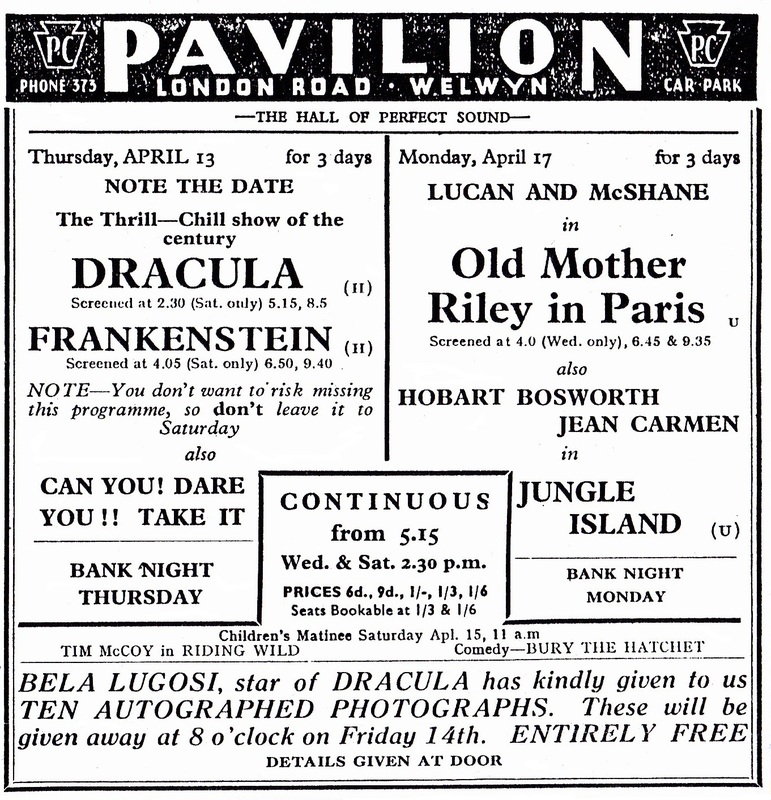 Bela Lugosi, star of Dracula and many other films, started work in Welwyn last week in a John F. Argyle production. 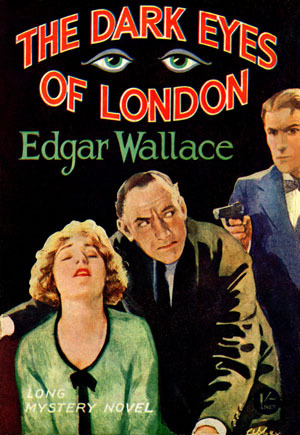 The picture is an Edgar Wallace subject, entitled Dark Eyes of London, and is to be directed by Walter Summers, a well-known former resident of Welwyn Garden City. Other players in leading roles are Hugh Williams, Greta Gynt, Wilfred Walter and Alexander Field. Shooting is expected to take four weeks. 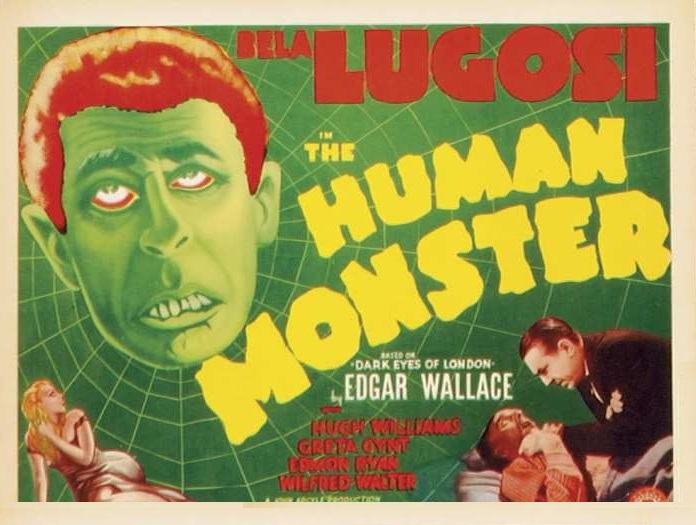 Lugosi , who usually stars in roles of a sinister nature, in real life is a mild and charming individual, quite unlike his screen counterparts. 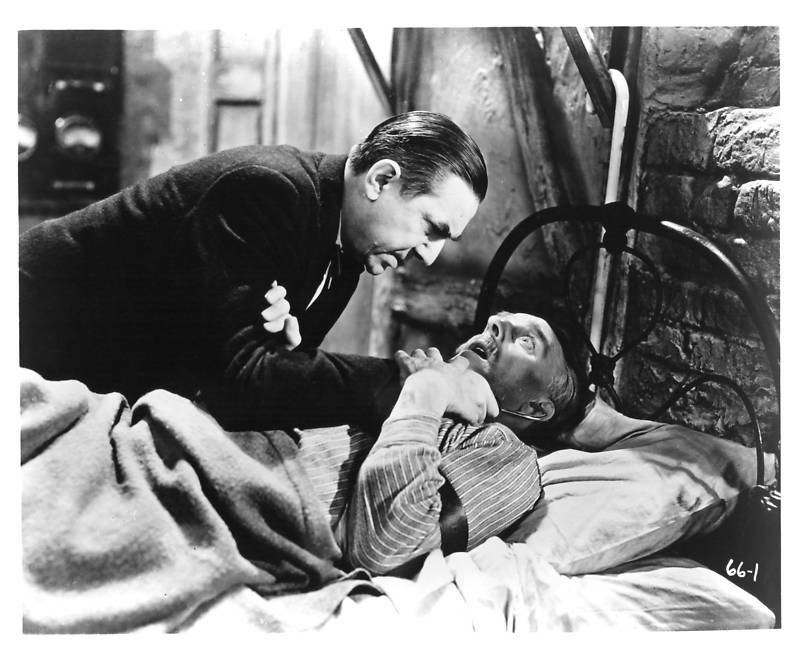 Bela Lugosi, who recently finished ‘Dark Eyes of London’ for Argyle Films, sails for New York April 15, but may come back to star in Alexandar Dumas’ ‘The Vampire’ for the same company. 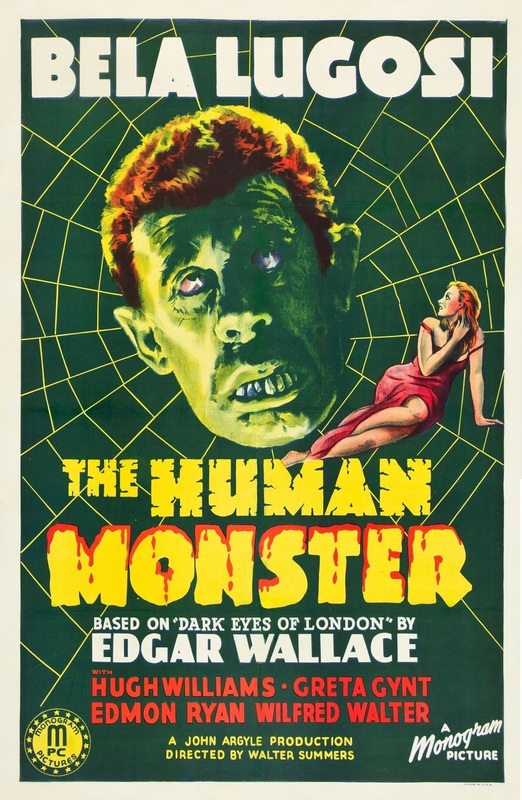 This adaptation of one of Edgar Wallace’s best-known “thrillers” has an “H” certificate and deserves it. The macabre nature of the story – an investigation into a series of murders by drowning – is emphasised by its grisly concomitants. It is to some extent located in a house for the blind, and among its highlights are the murderous assaults of a blind and hideously deformed killer and the deliberate and cold-blooded drowning of a helpless blind deaf-mute in the sight of a bound girl. Juveniles not being able to see the picture, its justification depends on its quality as adult entertainment. And this, fortunately, is very good. 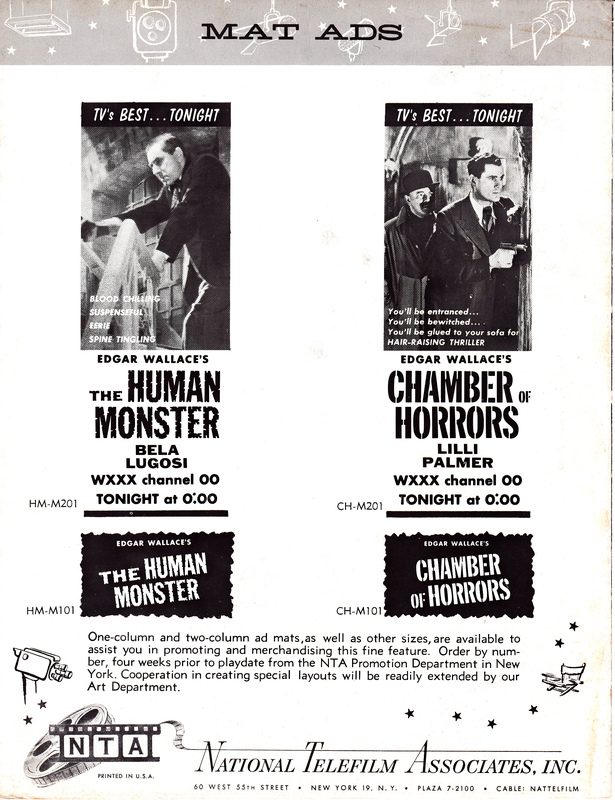 Walter Summers has handled his promising material in a way that will prove eminently satisfying to unsqueamish adults. 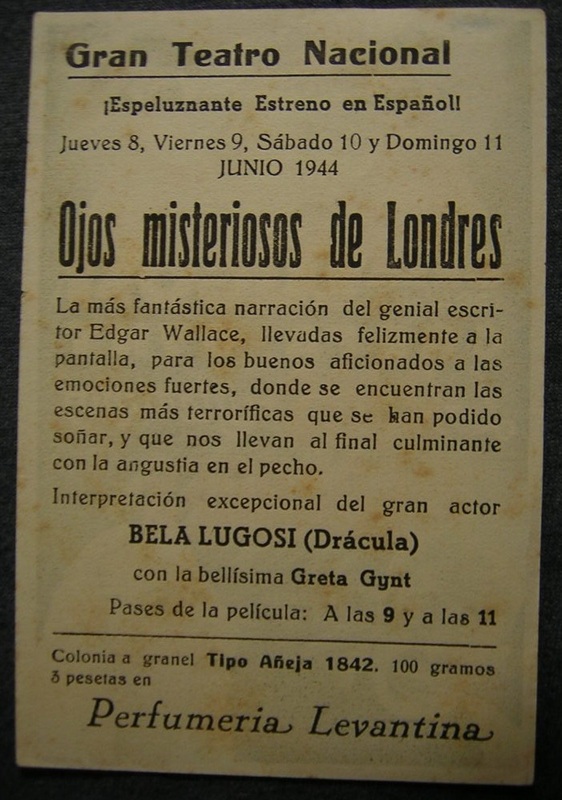 The Edgar Wallace authorship is, of course, an added attraction. 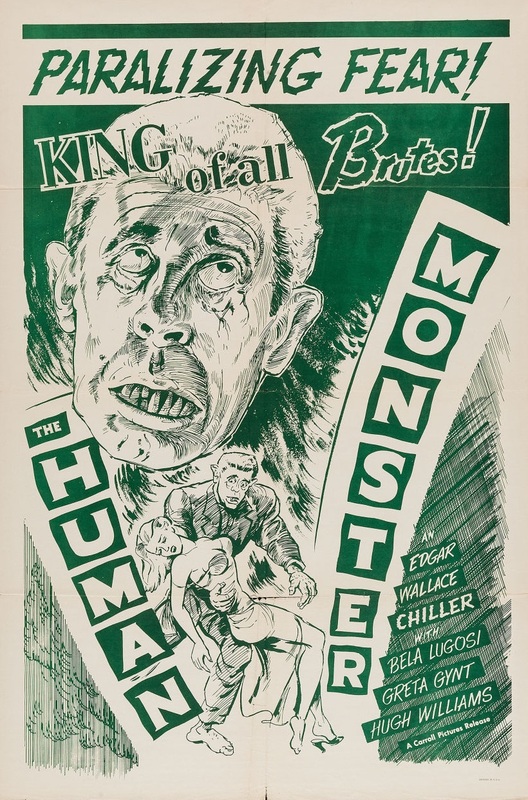 Inspector Holt is aided in his investigation into a drowning-murder case by the victim’s daughter, whom a mysterious and suspicious Dr. Orloff gets employed as secretary to the blind chief of the above-mentioned home. Strange things happen. 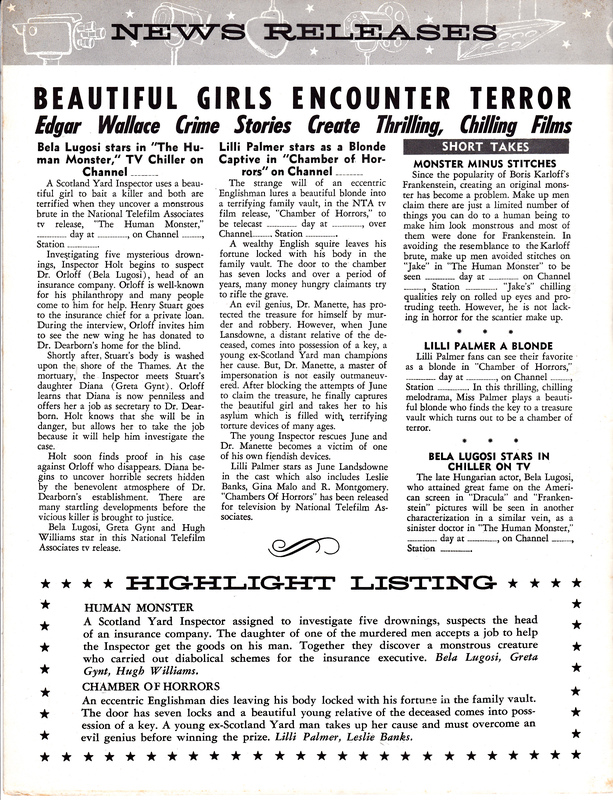 A blind mute is cruelly rendered deaf by Orloff; the girl, due to benefit by a revision of an insurance policy, is attacked by the monster and saved only just in time; and at last she discovers (what some of the audience may have already “twigged”) that her chief and Orloff are one and the same. Coolly and deliberately he drowns the blind-deaf mute in front of her eyes, while she is bound helpless, and then is about to deal with her when the monster turns on him and hurls him to a muddy death in the Thames. The fact that the cooperation of the National Institute of the Blind had been sought indicates the care of the presentation. Settings, whether of the home, Scotland Yard, or ordinary interiors, leave nothing to be desired. The performances also, are entirely appropriate. 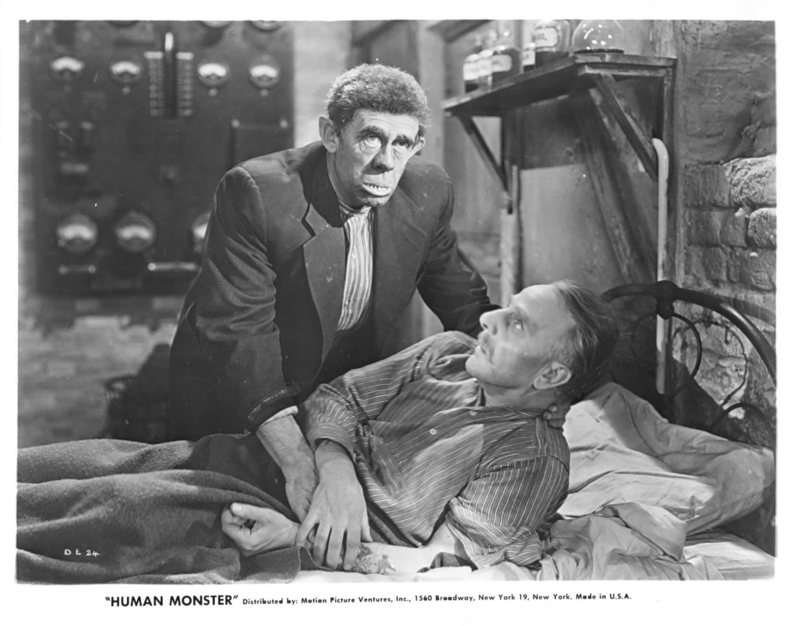 Bela Lugosi does not miss the “sinister” opportunities in the role of Orloff, but is neer freakishly bizarre; he leaves that to Wilfred Walter, whose make-up as the Frankenstein’s monster would have done credit to Lon Chaney. 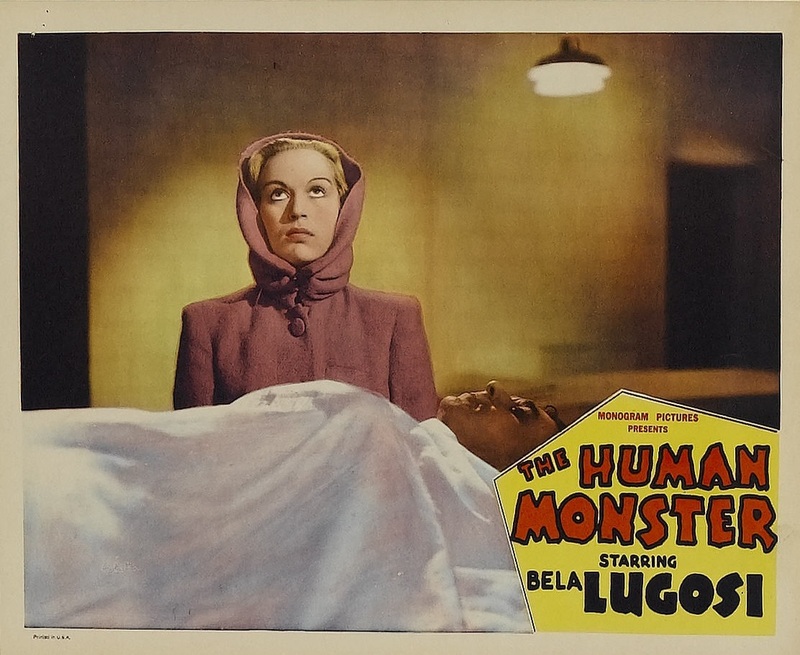 Hugh Williams is a manly young inspector, and Greta Gynt a definitely attractive heroine, who in moments of tension, whether viewing her father’s body or being attacked by the monster, is dramatically convincing. 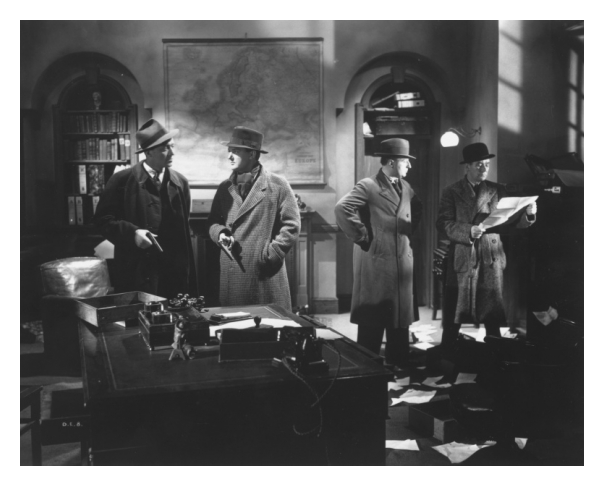 Edmond Ryan, as a visiting American detective, adds some small light relief and heads a competent supporting cast. 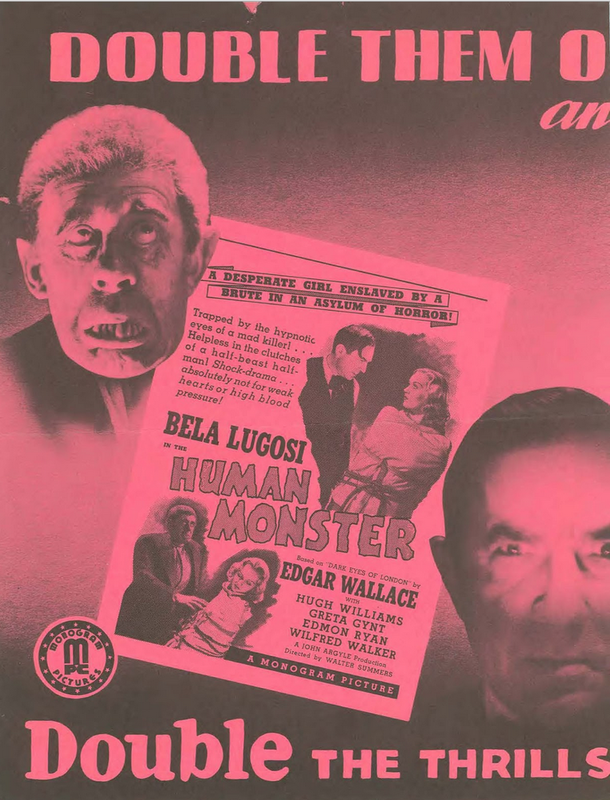 Welwyn here gives us a forceful adaptation of Edgar Wallace’s thriller, which provides an ideal vehicle for Bela Lugosi’s first British film (sic). 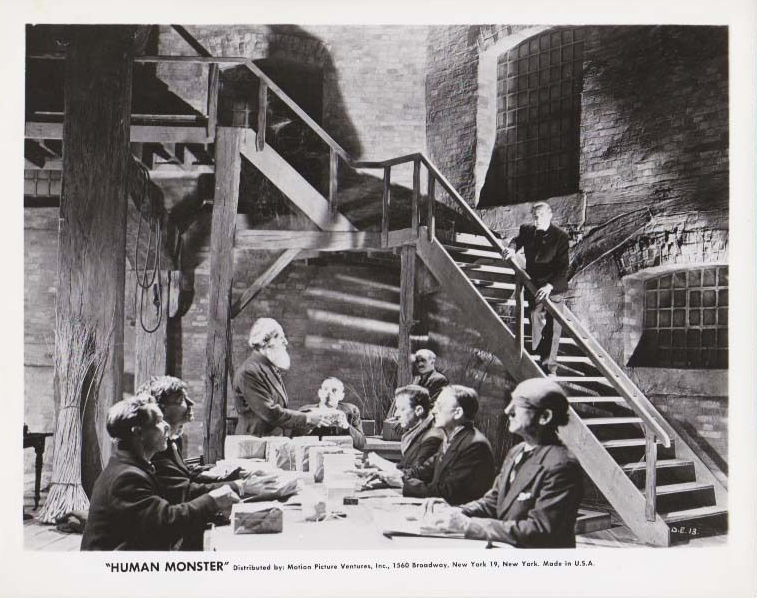 He is seen as Dr. Orloff, head of a small insurance company, whose speciality is to take out policies on the lives of certain persons, drown them and throw their bodies in the Thames, collecting heavily from the underwriters. 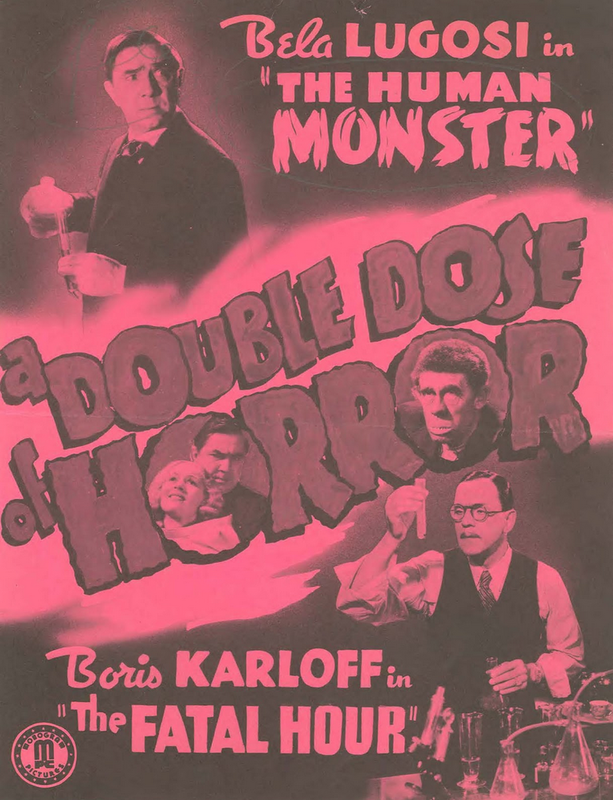 His latest victim, however, leads Scotland Yard to suspect murder, and, with the aid of the dead man’s daughter, the police are able to unmask Orloff at a blind home, which he ran as a cover to his activities, although not before he has been killed at the hands of a blind monster who has helped him. 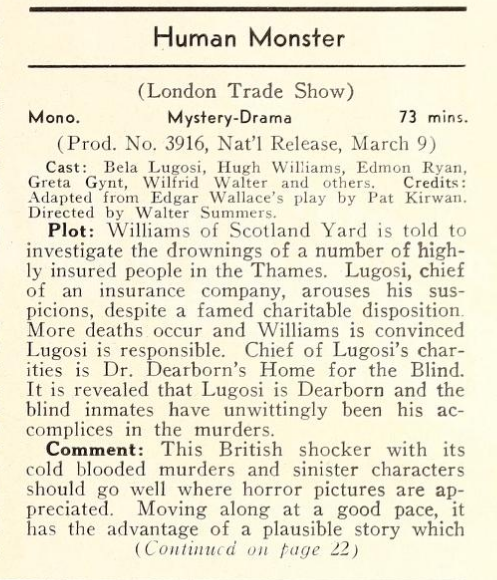 There are definite thrills and chills in the picture, yielded mainly by the deformed monster who puts Orloff’s victims out of the way, although he fails when he tries his hand at the girl, the Scotland Yard inspector arriving just in time. 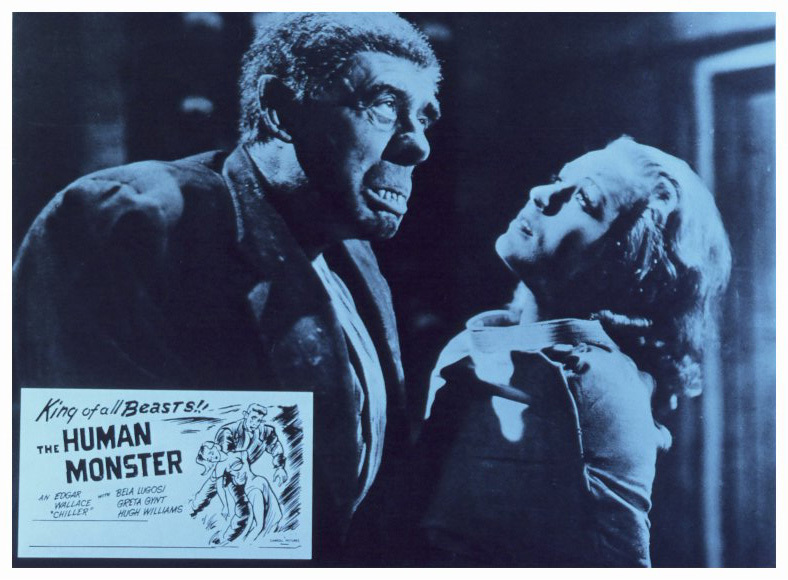 The climax, too, at which the monster turns the table against his master, is timed to yield the right suspense, with the fate of the girl undecided to the last. 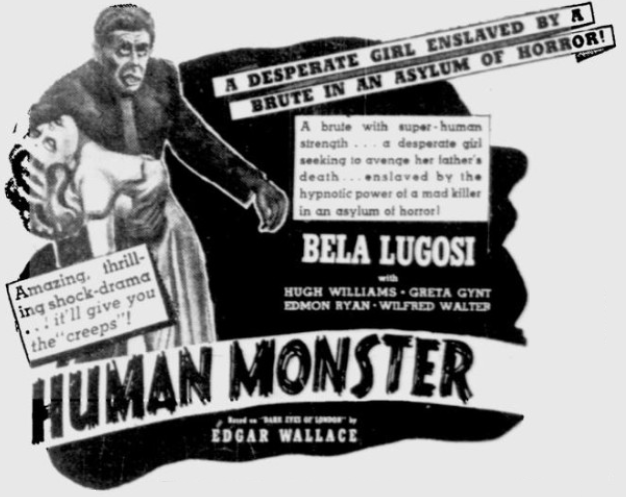 Apart from Lugosi, there is a smooth portrayal by Hugh Williams as the inspector, Greta Gynt is very pleasant as the girl, Edmund Ryan provides the lighter touch as an American detective, while Wilfred Walter is brilliantly disguised as the blind monster. 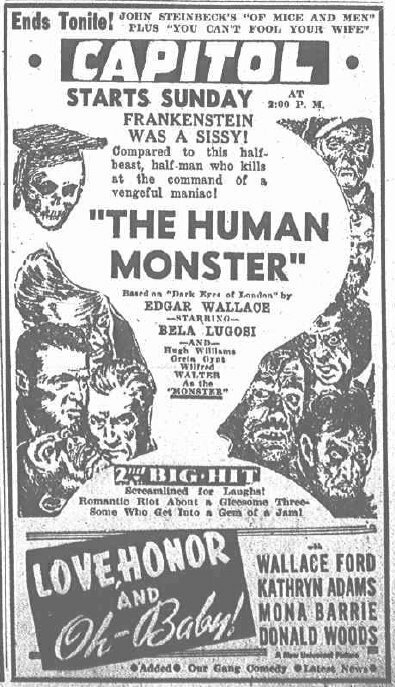 Spectacular thriller, suggested by one of Edgar Wallace’s best-sellers, concerning the nefarious activities of a mad doctor who organises and commits wholesale murder in the course of his insurance frauds. Death by drowning is the method most favoured by the killer and his Frankenstein assistant, and the planning and carrying out of the crimes and their reconstruction by the police lead to a breathless succession of hair-raising situations. 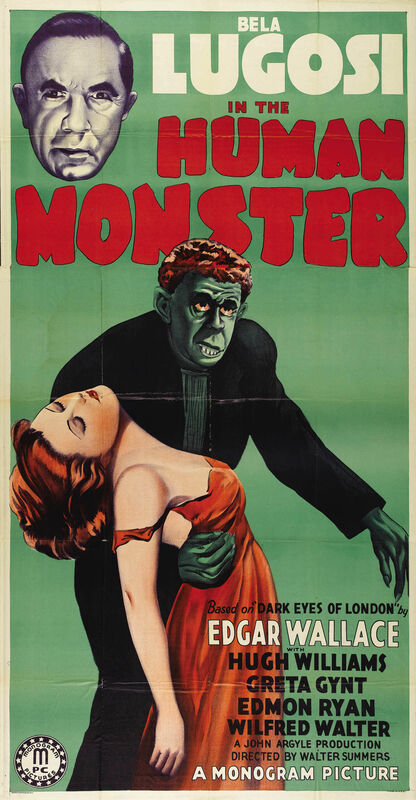 Superb grand guignol workmanship is guaranteed by first-rate acting and resourceful and showmanlike direction. Excellent picture of its type, carrying, in addition, watertight box-office insurance in its irresistible author and title values. Story. – Orloff, a mad doctor, makes a comfortable living by taking over and forging insurance policies and dispatching the original holders in circumstances that allay suspicion. The Dearborn Home for the Blind is his operating centre, and Jake, a Herculean half-blind half-wit, is his chief assistant. 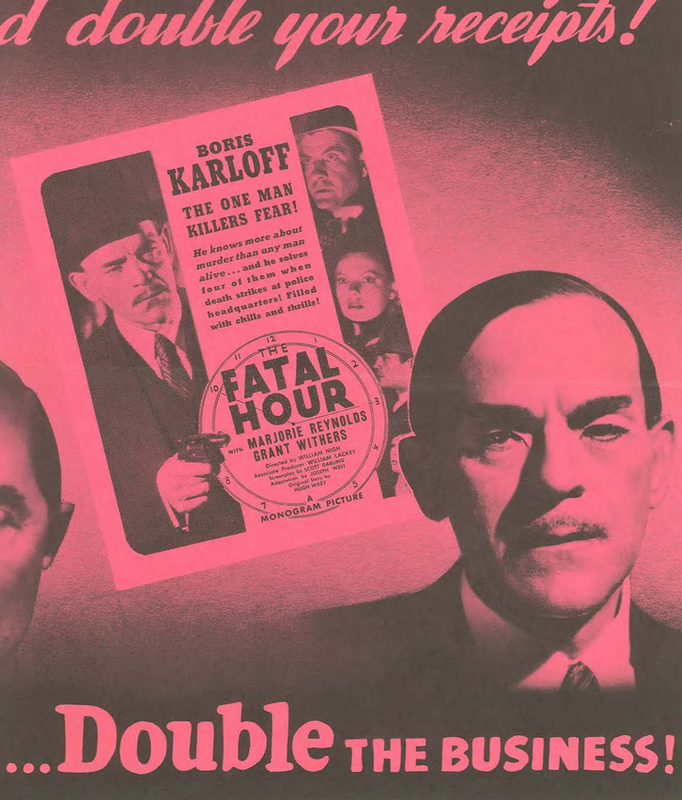 Henry Stuart, an inventor, is Orloff’s latest victim. Inspector Holt of Scotland Yard is put in charge of investigations. His colleague is Lieutenant Riley, a New Yorker, who has come to England to study police methods. Contact is made with Diana, the victim’s daughter, and when Orloff learns of this he marks her down as next on his list. However, he makes the fatal mistake of offending Jake by mutilating one of Jake’s friends, and Jake’s revenge results in Orloff being put on the spot he had made for others. Following the arrival of Nemesis, Diana and Holt discover that they have many things in common. Acting. 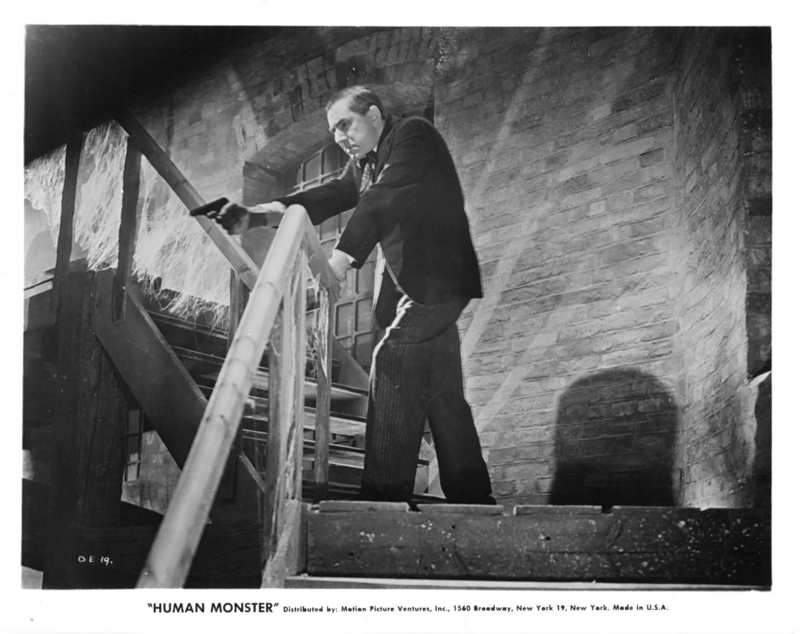 – Bela Lugosi is effectively sinister in the Jekyll and Hyde role of Orloff and Dearborn. Hugh Williams is true blue as Inspector Holt and Greta Gynt is a patient yet brave Diana. 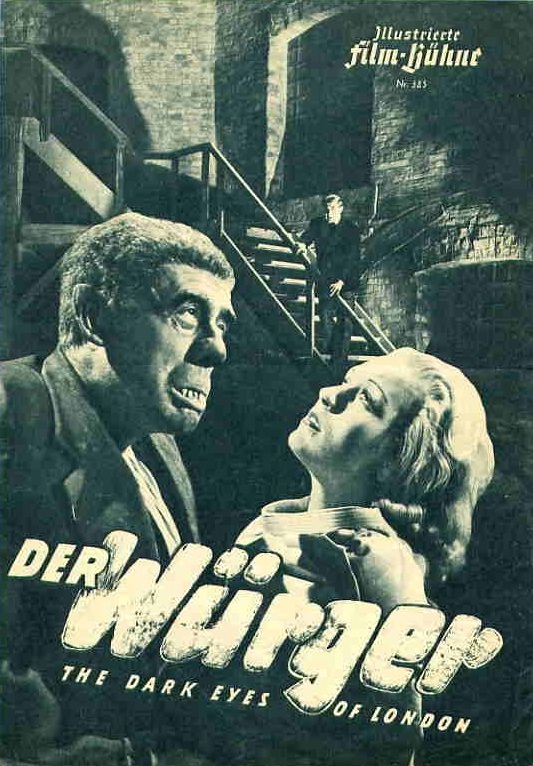 Wilfred Walter strengthens the sinister aspect with the eeriness of his make-up as Jake, while essential comedy relief is in the competent hands of Edmond Ryan, cast as wise-cracking Riley. Production. – There are no half-measures with this picture and nothing is left to the imagination. 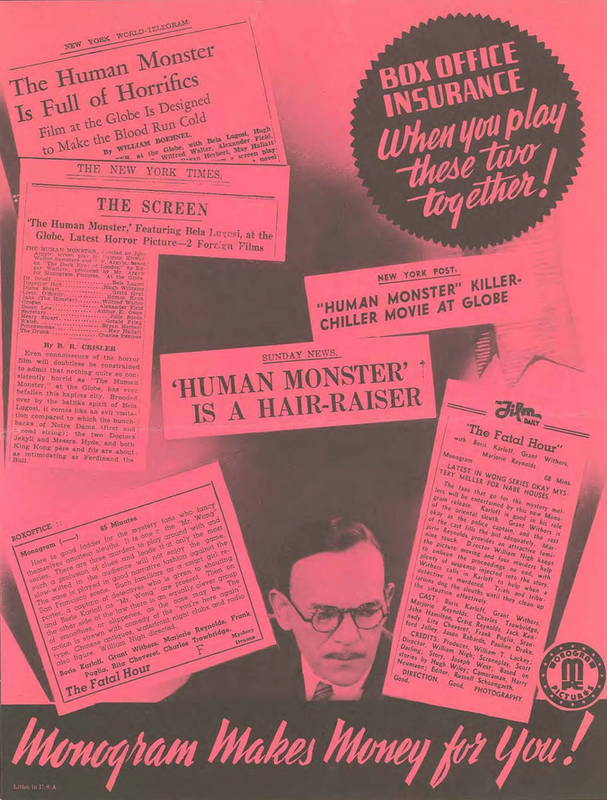 Cold-blooded murder is witnessed in practically every reel, and each crime is a stepping-stone to bigger and more breath-taking thrills. The homicidal and by no means profitless all the picture; there is plenty of authentic police detail, comedy and romance consolidate appeal. The “H” certificate is certainly not lightly earned, nor should it prove a handicap. There is box-office magic in the author’s name to underwrite full patronage. Points of Appeal. 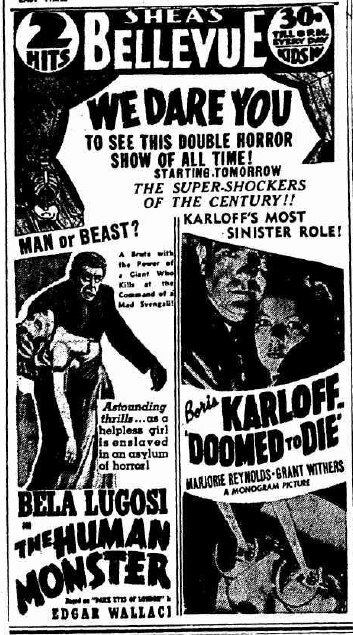 – Exciting, suspenseful and tremendously thrilling plot, grand guignol atmosphere, first-rate acting, good title and an author who’s box-office. Horrific thriller. 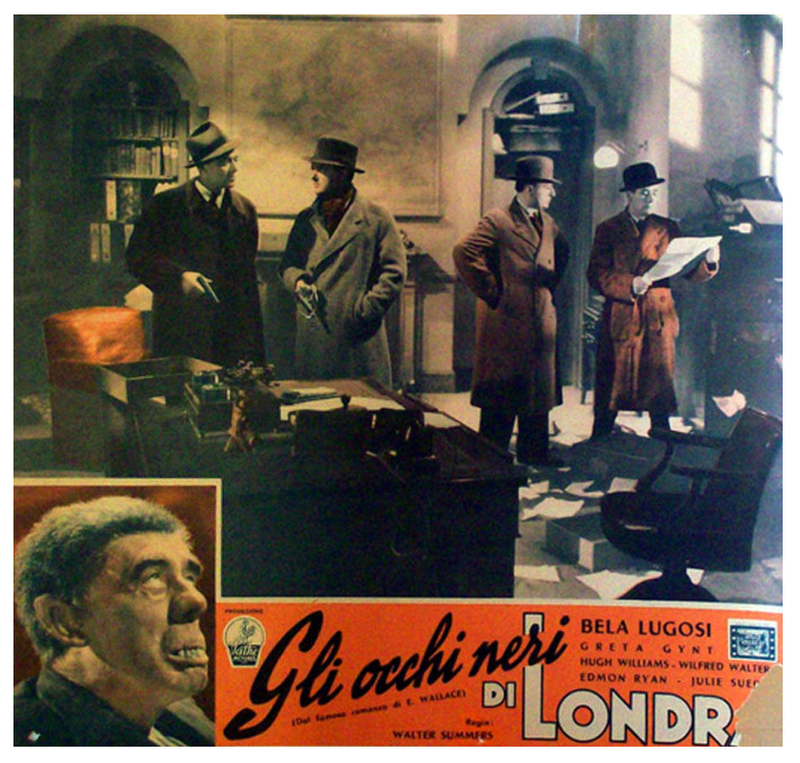 Scotland Yard is baffled by a series of mysterious deaths which seem to link up with big insurance money. 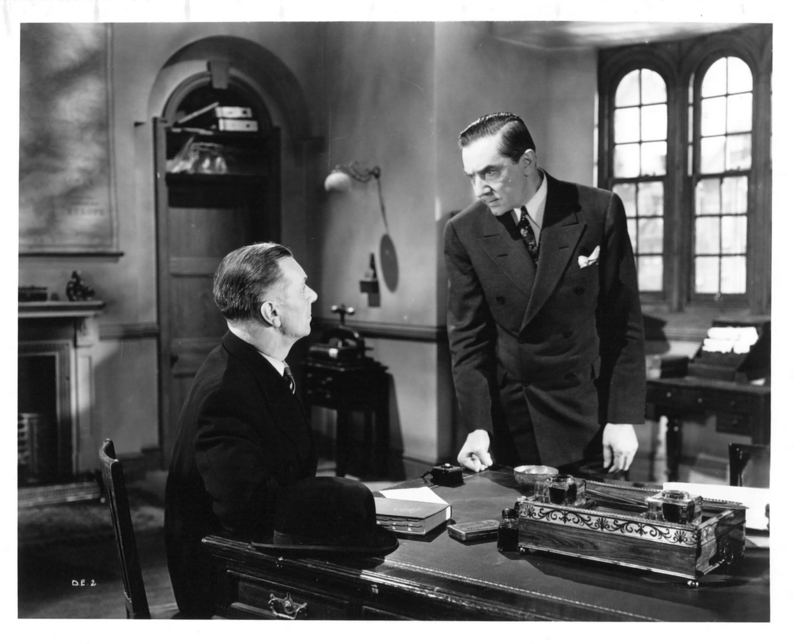 Inspector Holt begins by questioning Dr.Orloff, head of the Greenwich Insurance, and his suspicions are aroused when another victim, Henry Stuart, is found drowned, and is linked with Orloff and also a Home for the Blind run by a Mr. Dearborn. 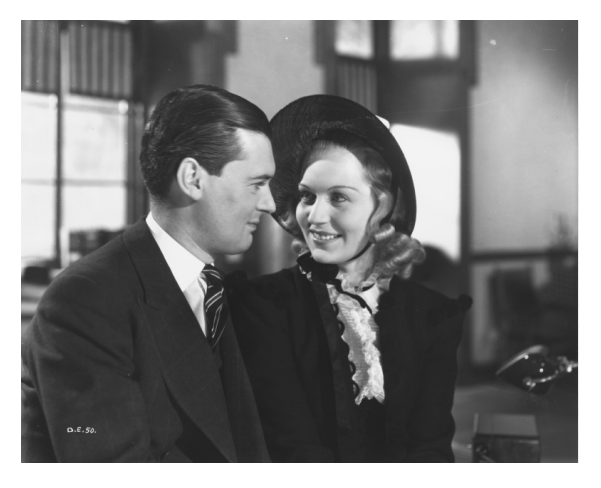 Diana Stuart, the daughter, is convinced her father has been murdered, but likes and admires Orloff, who finds her a job as secretary at the Home. Then the horrors come fast. Frightened by the blind monster Jake, baffled by strange clues, Diana’s suspicions soon go the same way as the Inspector’s and her life is soon in danger. 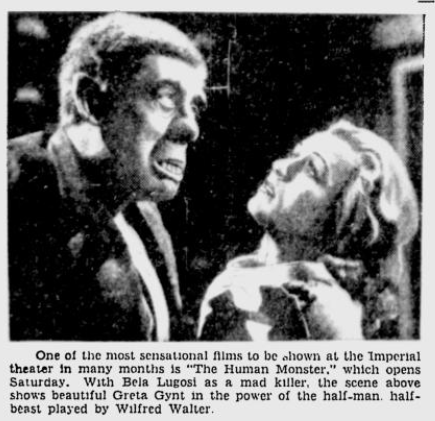 A sinister tank; the mud flats of the river at low tide; the dual personality of the “blind” philanthropist Dearborn; the wretched fate of Lou, a blind inmate; all these and more add to the intensity of an excellent melodrama which cleverly does not depend only on gruesome make-up but succeeds by appealing to the nerves and imagination. Not for the timid or over-sensitive, but well constructed and well acted. 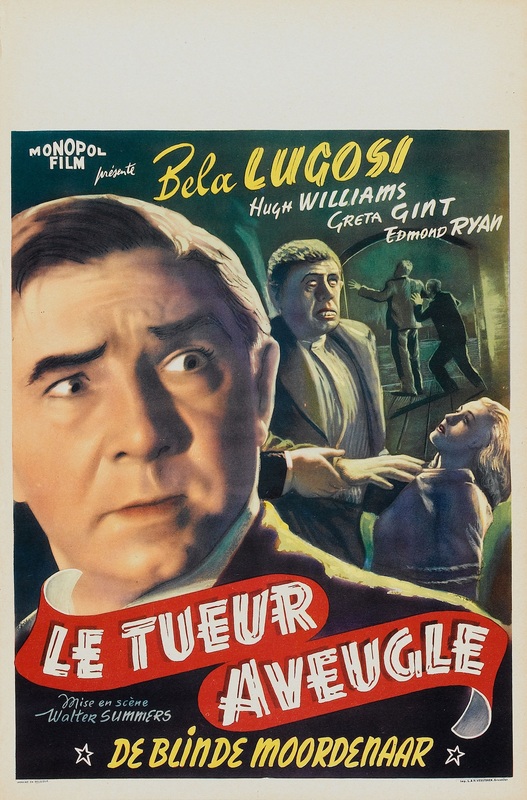 Bela Lugosi adds much to the eerie atmosphere, and Hugh Williams as a keen young inspector is comfortably reassuring. 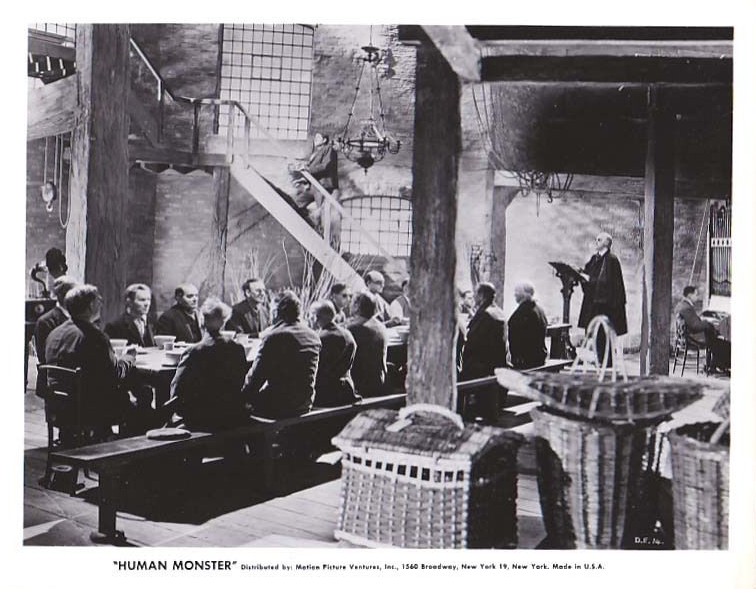 Even connoisseurs of the horror film will doubtless be constrained to admit that nothing quite so consistently horrid as “The Human Monster,” at the Globe, has ever befallen this hapless city. 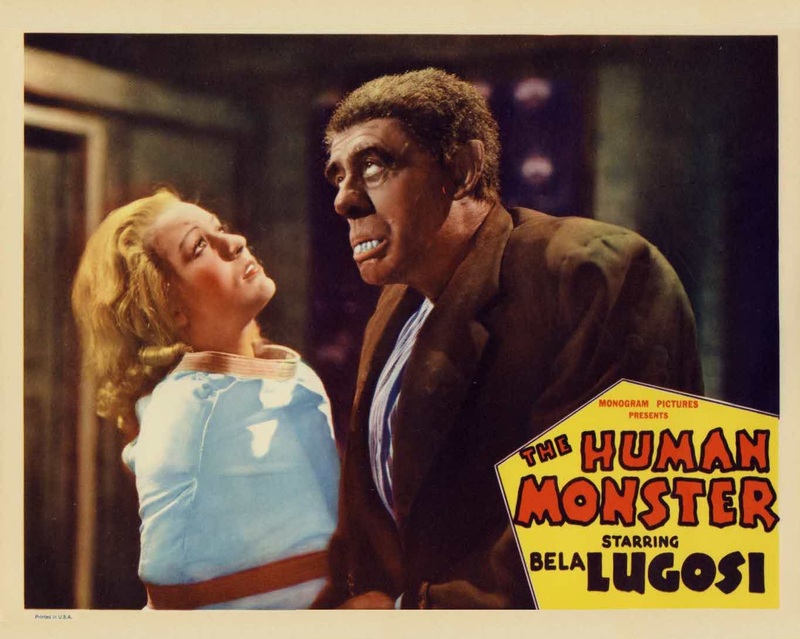 Brooded over by the batlike spirit of Bela Lugosi, it comes like an evil visitation compared to which the hunch-backs of Notre Dame (first and second string); the two Doctors Jekyll and Messrs. Hyde, and both King Kong père and fils are about as intimidating as Ferdinand the Bull. 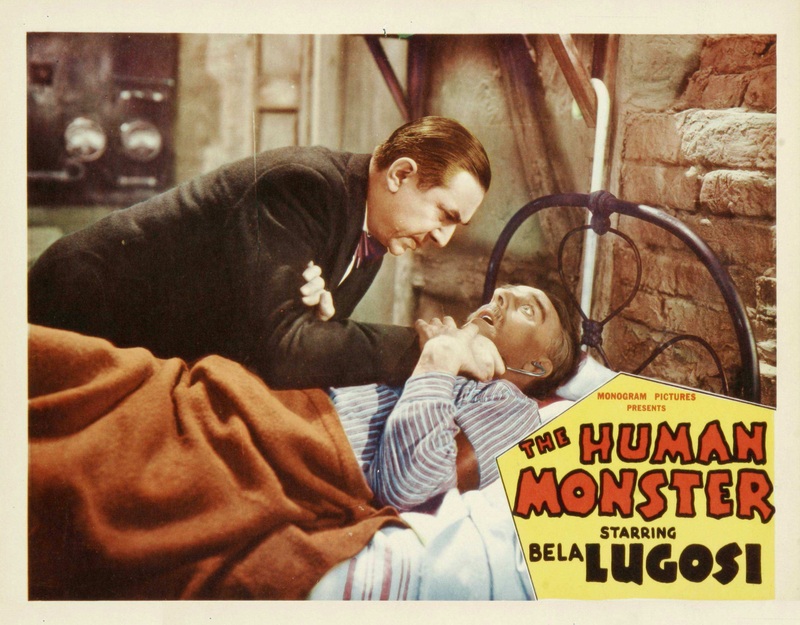 To begin with, all Mr. Lugosi has to do is to look at people and they either get hypnosis or cramps from laughing. Our personal reaction was more hysterical than horrified, but that’s a matter of taste. 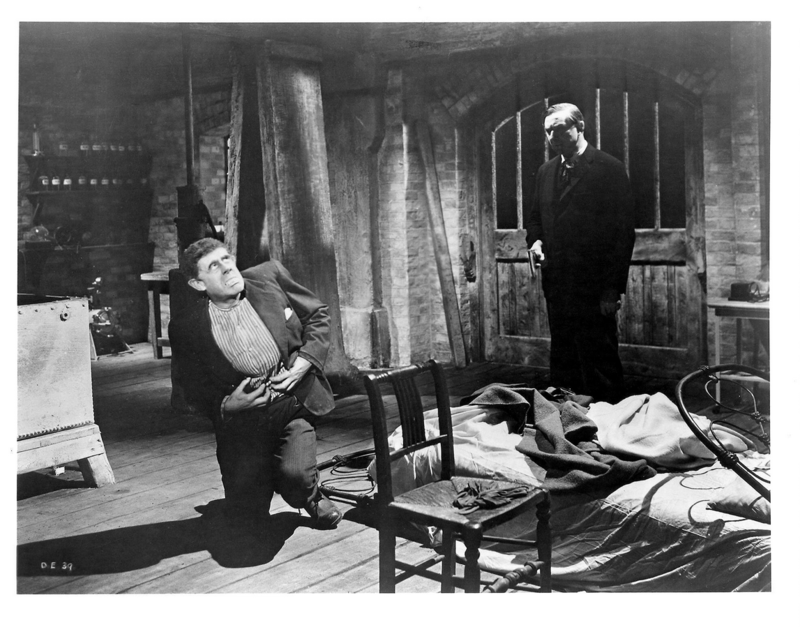 Up to now, the most popular screen grotesqueries have had a certain lightness of touch; when Quasimodo, for instance, was beaten by louts in the cathedral square, the camera mercifully averted its lens, or gave the streaming blood the merest glance, purely for verificative purposes. 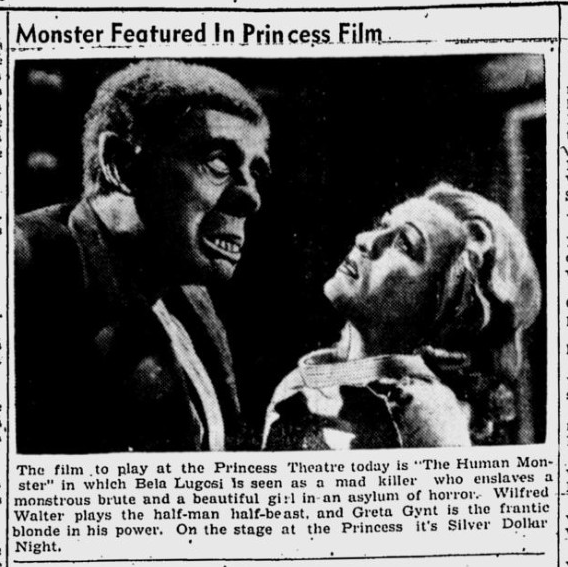 Not so “The Human Monster,” in which not only is Wilfred Walter more unglamorous than even Charles Laughton as the hunchback, but is totally blind in the bargain. Consequently, his homicidal technique is the more deliberative and, so to speak, stately, giving the camera plenty of time to dwell with sadistic relish on the more recherché details of his method of doing his victims in. 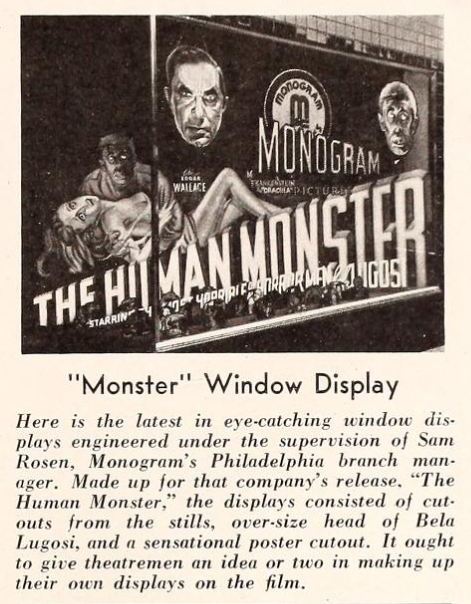 But Jake, as the Monster is more familiarly known, is just a stooge, a sort of shipping clerk for Bela, who does a wholesale business in select and artistic submersions. 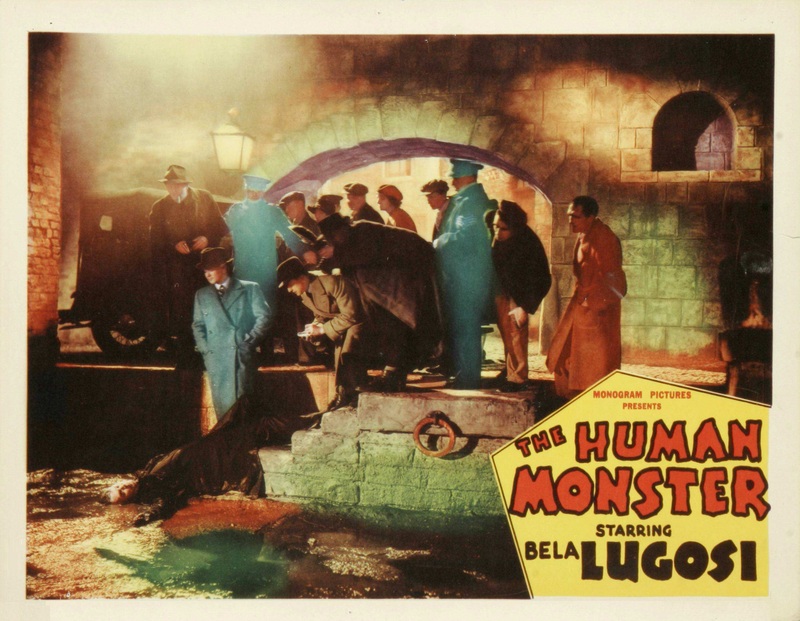 Bela, in fact, covers the waterfront with highly insured clients (he solicits insurance in his spare time) and so annoys Scotland Yard with this marine Blitzkrieg of bodies that even the conservative Yard is compelled to assign its brightest inspector (Hugh Williams) to the case. 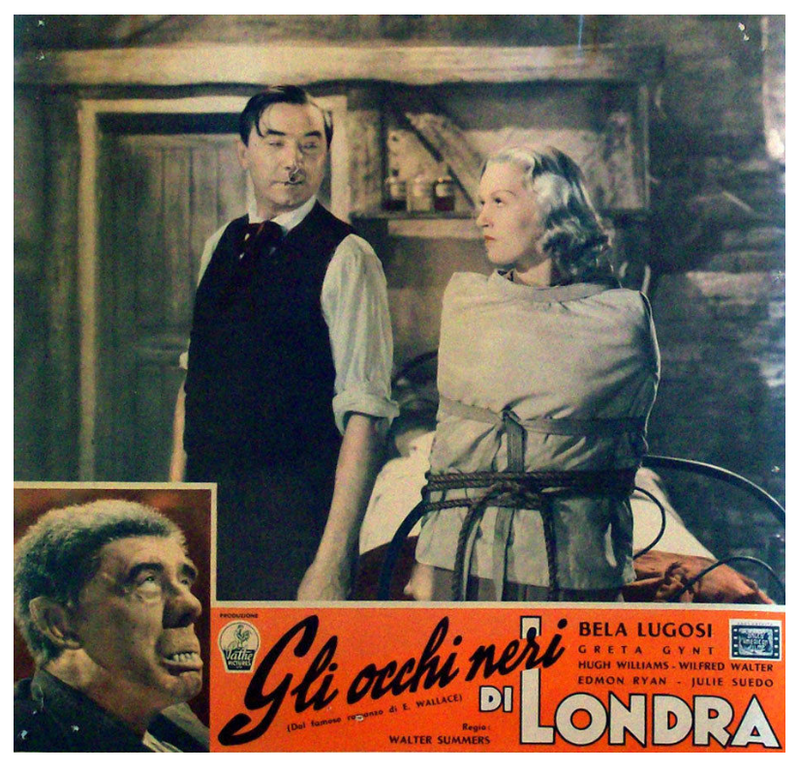 A pretty, blond daughter of one of the victims, who floats a loan with Bela and then goes floating down the Thames himself, is mixed up very attractively in the matter, and there are numerous incidental people who give a good if sometimes barely intelligible account of themselves, as is sometimes the wont of English actors. In fact, if the British accent gets much worse, they will soon have to provide incidental titles for America. 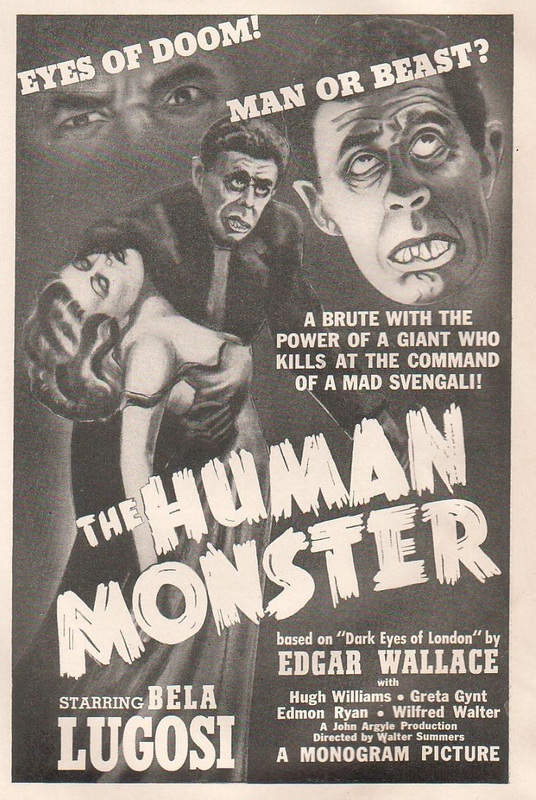 THE HUMAN MONSTER, directed by John Argyle, screen play by Patrick Kirwin, Walter Summers and J. F. Argyle, based on “The Dark Eyes of London” by Edgar Wallace; produced by Mr. Argyle for Monogram Pictures. At the Globe. 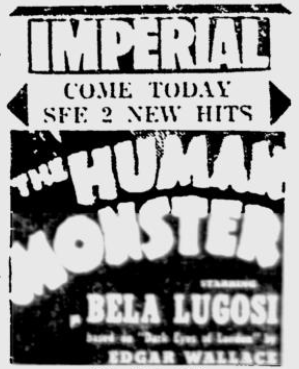 The current roles of Bela Lugosi, now appearing in Monogram’s “The Human Monster,” this Sunday at the Palace Theatre, are in direct contrast to those he played when first embarking upon an acting career. Today he is known as one of the outstanding horror masters of the screen. In his native land he was cast as a romantic lead. 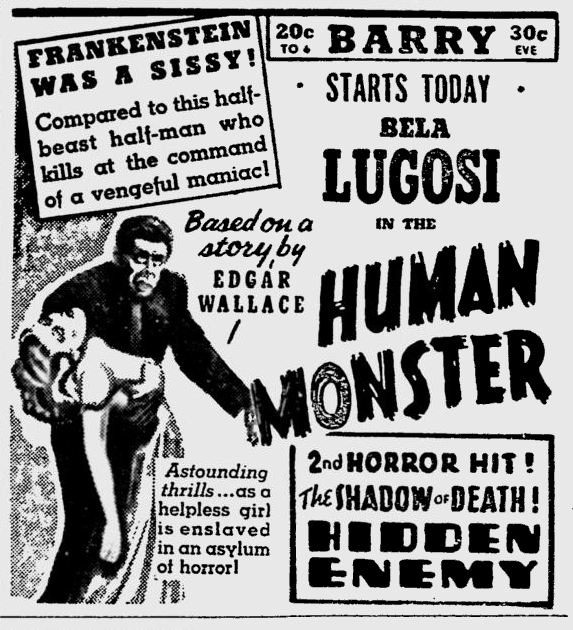 Bela Lugosi repeated his success as “Dracula” in the screen version of the Bram Stoker masterpiece. 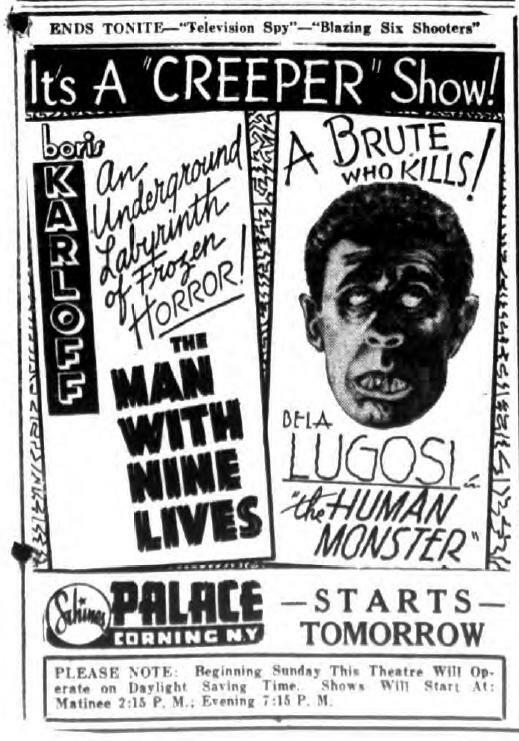 Critics hailed him as a new Lon Chaney, and Lugosi shook his head sadly, for already, he knew he would be forced to submit himself to similar parts, and he would much prefer to play a wide variety of characterizations. Photo caption: Jake. Not the sweetheart of Sigma Chi, and not to be regarded a Brooklyn Dodgers baseball fan. MAMA, bogey man’s here again! 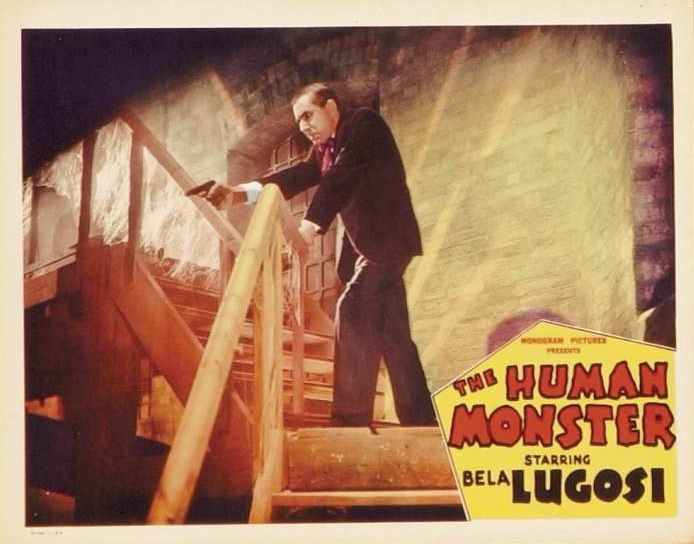 That would be Bela Lugosi, specialist in monstrous murder, habitually hatching homicidal hooliganism, devilish deviser of dire developments. We’ll hex him, mama, with alliteration and a gypsy charm. But you should see his charming chum in crime. Name’s Jake, not Jocose Jake nor Japery Jake, just Jake, jowled, jaundiced, jim-jam gem. And, oh mama, his invidious, insidious incisors. He’s a paleolithic, pyorrheic problem. Wants to gouge and garrot. And the noises he makes! Sometimes grr-ur-un-gwobble. Sometimes goo-ur-un-woth. We like the latter better. It is more sibilant on final upbeat. But there is something to say for the former, especially in the last two syllable. Liquid. Like air, bubbling through bluddd! Yep, we like the gwobble one, too. But, ricker-racker, firecracker, Yard’s detective is a crackerjacker. He is a personable, smart, young chap with an eye for beauty, too, when he sees it. He saves the girl from doom. Sam Berg, Esquire manager, says that the undue chill must be ascribed to screen, not air-conditioning unit which properly is performing its function. Selah! 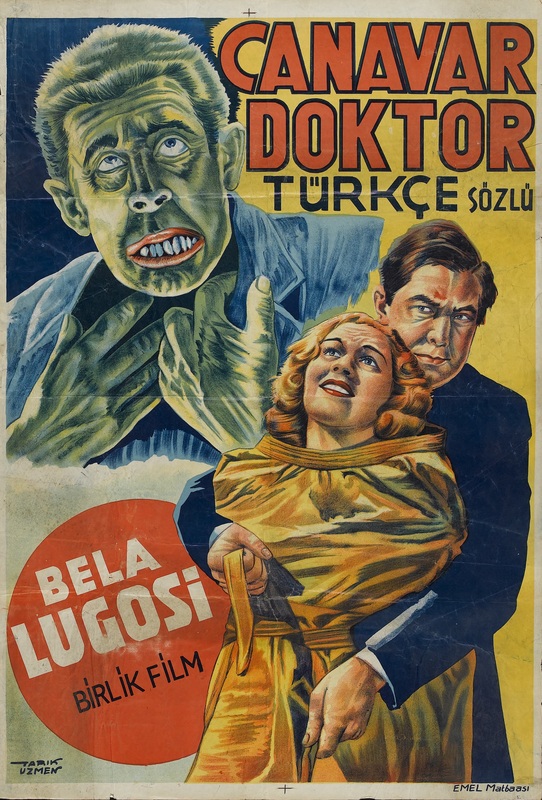 The Turkish release was titled Monster Doctor. Thanks to Poyraz Baklan for the translation. 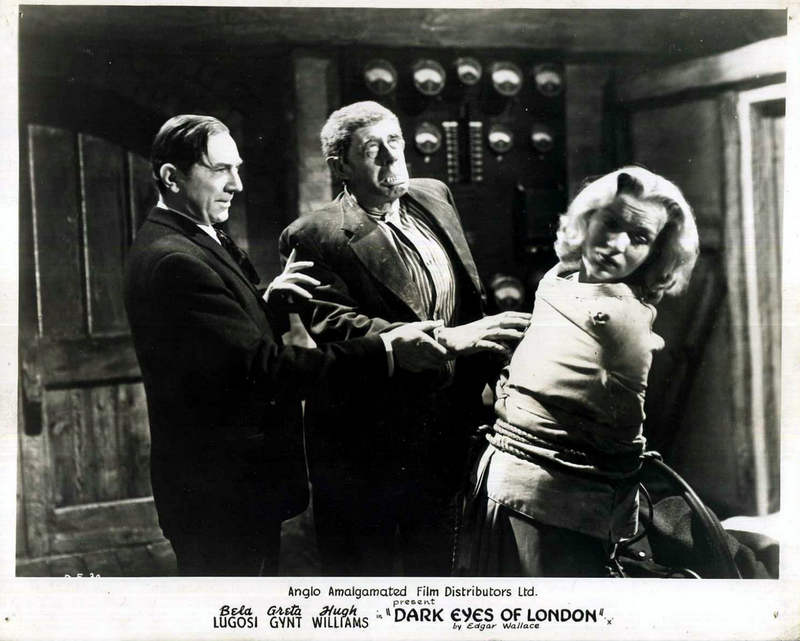 Brian shares his memories of working on Dark Eyes of London and his reaction to seeing the film for the first time on video in 1996. Hi Dracula Lover. I’m really glad to hear that. There are lots more interesting things in store, so stay tuned. 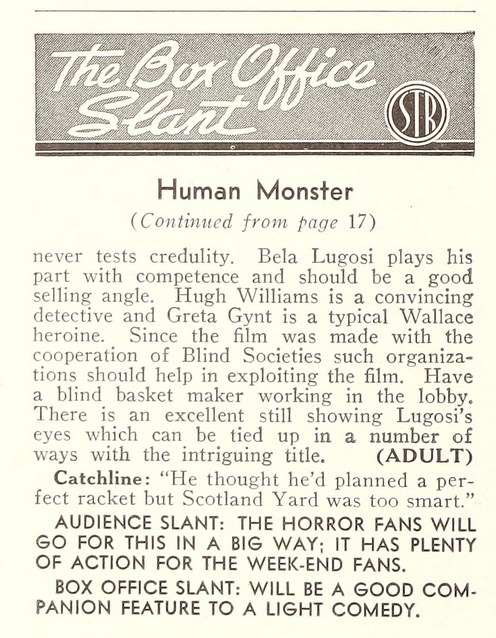 Fantastic page devoted to one of my favorite Bela films, too often disregarded because of PD status. Thank you for the generous amount of information and wonderfully reproduced images. Thanks Greg, glad to hear you like the page and, more importantly, the film. I hope to be able to add more to this page soon. 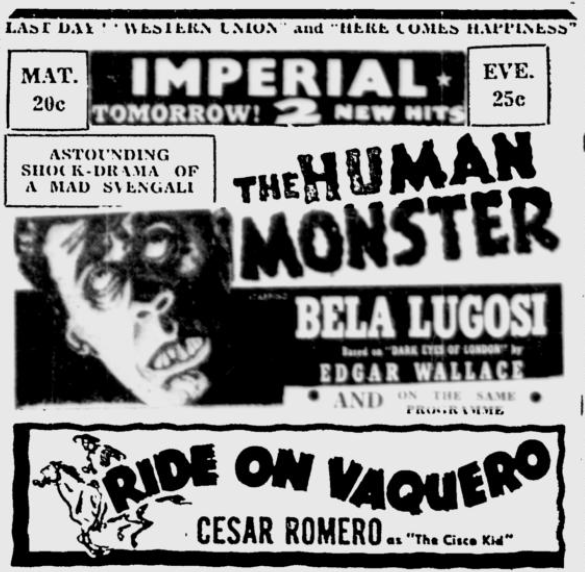 When I was a kid in the 1960’s in Los Angeles they showed “The Human Monster” a lot. Maybe once a month (or as it seemed, once a week). 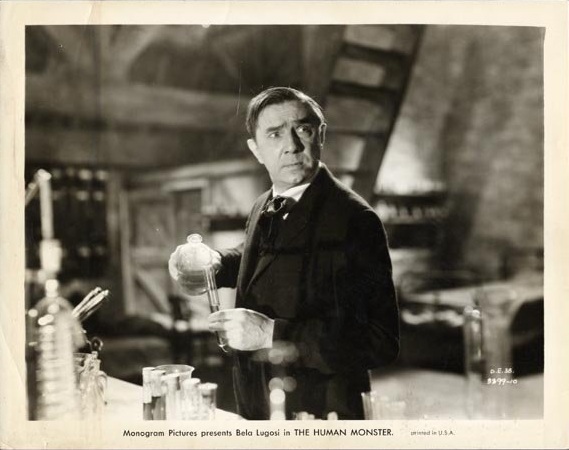 That was good for me, I loved Bela and I loved the movie. It scared the living crap out of me. The whole thing (helped by the murky quality of the print and the all-British accents) just seemed more real than American films. That Jake guy in the movie caused me to rethink the whole “I don’t need a night light anymore, Mom!” thing. 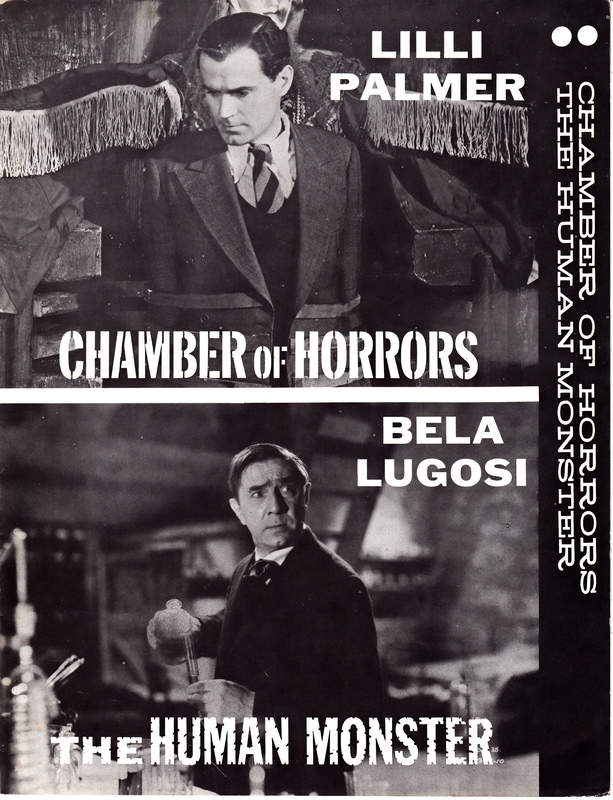 I still love the movie and of course, Bela. 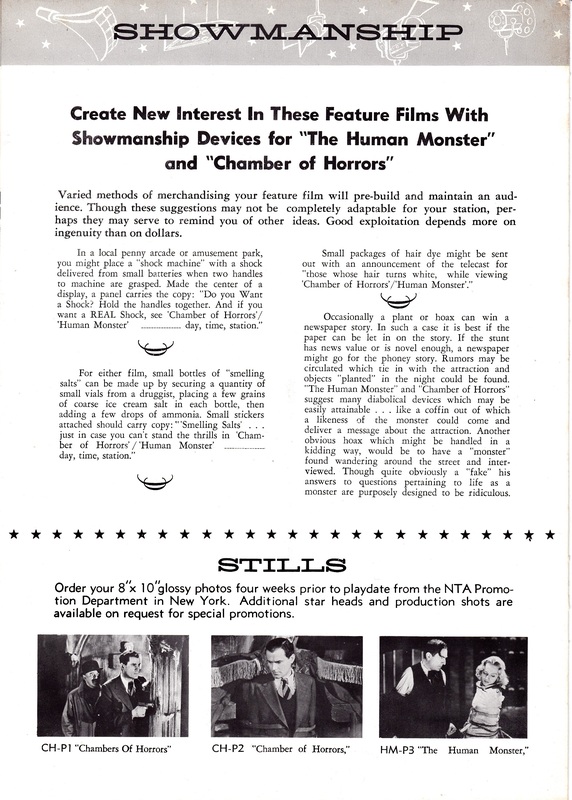 I blundered on this page looking for info on old Agfa film stock, heh, and I found this. Loved the interview with the cameraman. Thanks again! Steve, thanks for dropping by, even if it was by accident! Dark Eyes is also one of my favourite films. 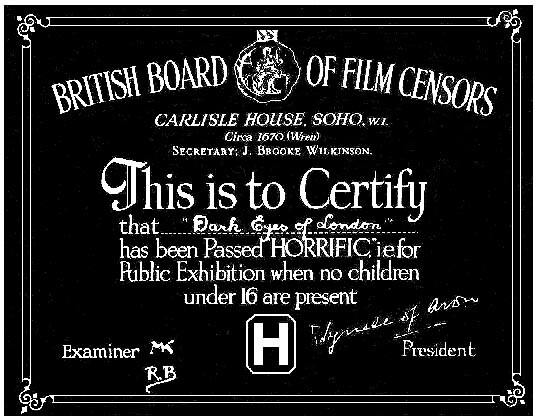 It’s quite a gritty film for its day, which explains the H certificate it received. It was a pleasure to know cinematographer Byran Langley, if only for a short time. 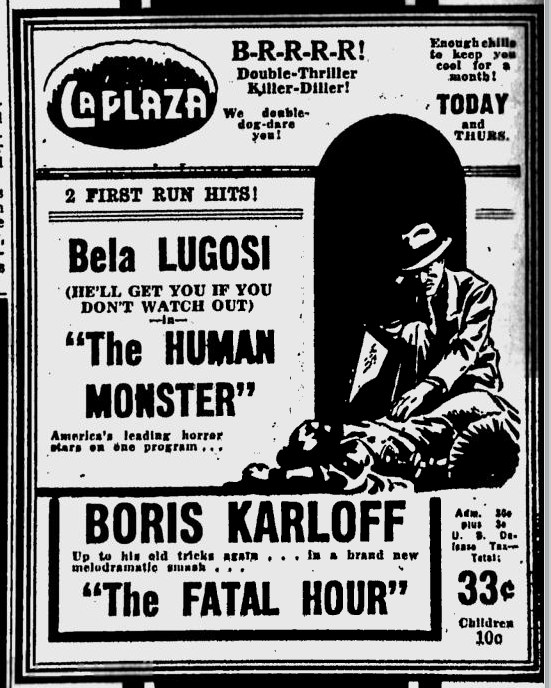 I kick myself now for not asking more about his whole career, but I was too focused on Bela at the time. You’re welcome. I’ve spent a few frantic hours here since blundering upon this site over last weekend. 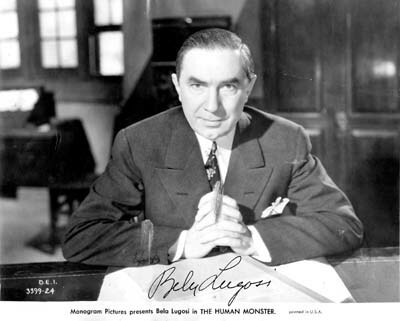 I thought I knew a lot about Bela but there is SO much more. You are now bookmarked and within easy reach. Thanks again! Thanks Steve. There’s lots more to come…..when I can find the time! 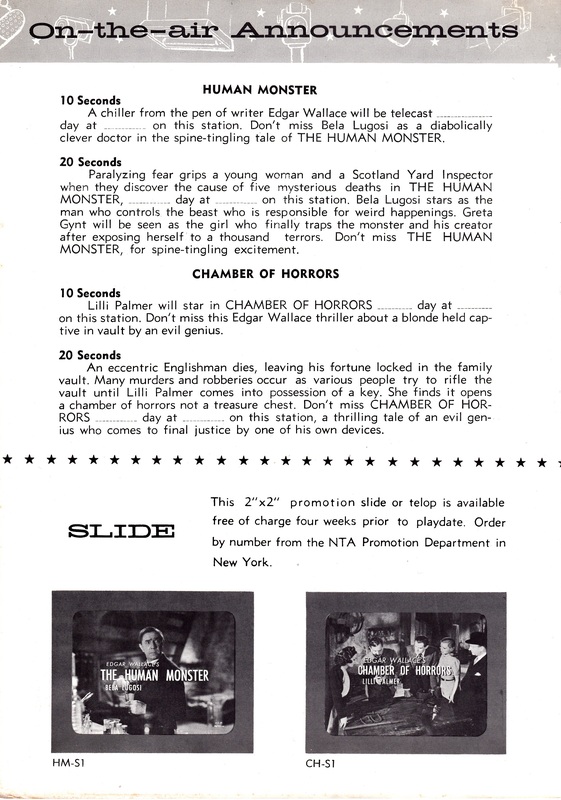 The image on that Super 8 box (which I still have) confused me as there was no such scene in the movie. It was only when I saw RETURN OF THE APE MAN did I know where they got the inspiration.! 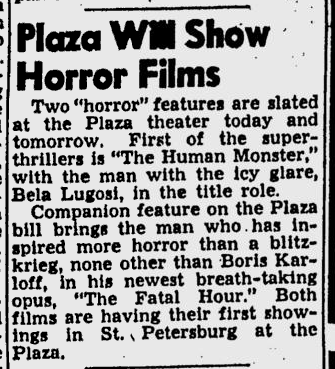 The mispackaging of Bela’s films seems to continue today, Bill. 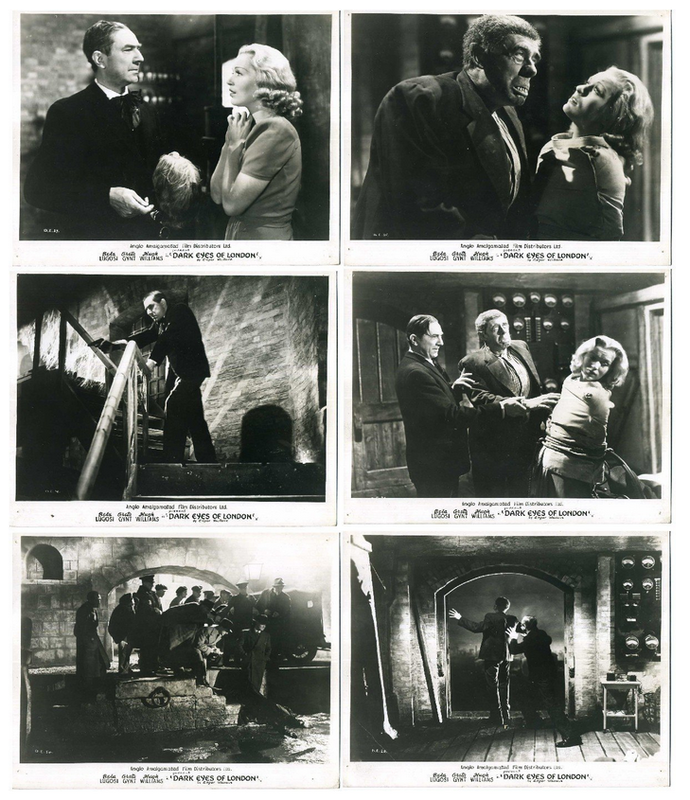 Several times I have seen images from Mark of the Vampire used for Dracula.